Providing your employees with the best software at the best price is the goal of every business. While that has traditionally been a very expensive goal to accommodate, Microsoft now makes it far easier with its Office 365 options. With the Enterprise Office suites, you can get some of the most advanced communication, security, and collaboration programs, plus the traditional Office programs, all at a very affordable price. With Enterprise E1, you’ll be able to offer every employee the ability to work more efficiently and productively together and on their own, and to keep up with clients better than ever before. To purchase a monthly subscription to Office 365 Enterprise E1, visit SoftwareKeep.com. To learn more about Office 365 Enterprise E1, read more below. Office 365 is Microsoft’s subscription version of the Office suite format. 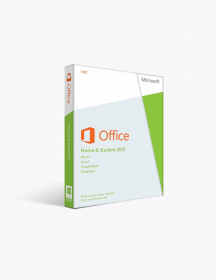 Unlike traditional versions of Office, where you buy a single copy, install it once, and keep it on that computer forever, Office 365 involves a subscription fee that is paid either monthly or annually. With that subscription, you get more programs, 1 TB of cloud storage on OneDrive, and the ability to upgrade to new versions of Office for free every time they become available. 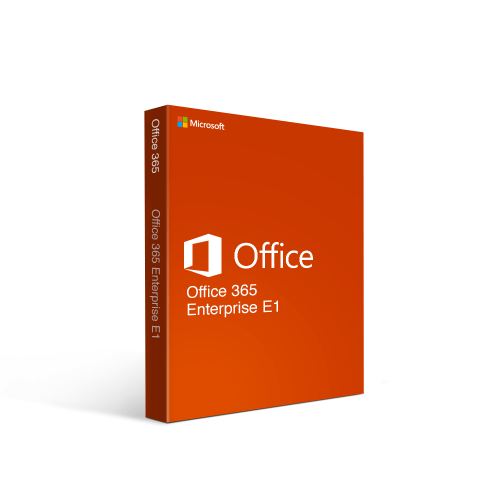 If the major concerns for your business all revolve around the need for improved business communication, there are no better options than a subscription to Office 365 Enterprise E1. It is affordable and comes with all the features you need to communicate over video, phone, message, and email. It is organized to allow you to communicate easily with anyone else on your network. You can share presentations or even co-author important documents. 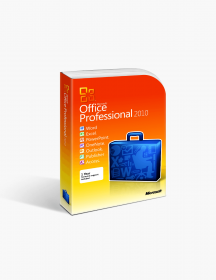 All that, and you get the online version of all the traditional Office programs, so everything can be accessed anywhere you go, all while taking up no space on your device. If you need more from your Office 365 plan, Microsoft has plenty to offer. Professional Plus, Enterprise E3, and E5 both offer the whole suite of traditional Office programs on desktop as well as online. E3 and E5 also have the same communication tools as found in E1, plus more advanced security and business analytics abailities to keep your data safer and perform more advanced analysis on it. Not the right Office 365 Enterprise E1 (Monthly) product you were looking for? Check out our selection of additional Office 365 software today. Exchange and other business email features — With Enterprise E1, you can provide far more official email. You get a custom email domain to send your email from and 50 GB of email storage, so that you can keep up with all the large files sent back and forth in your business. Messages can also be as big as 150 MB. You have the ability to customize your email with images and signature and to keep your email with you every where you go, making sure you are always able to respond to the latest developments in your work. Skype for Business — In the modern business environment, it isn’t always possible or desirable to gather everyone in a meeting room to talk over recent business. Skype for Business has a number of features that bring your business into the 21st century. You have the expected messaging and video call options, but you can also video conference with up to 250 others or schedule a meeting with up to 10,000 others. Calls are all HD and can work in tandem with other programs in the Enterprise E1 package to develop documents in real time or discuss developments that have just occurred. Yammer — With Yammer directly connected to the rest of your Office 365 usage, you can not only message other colleagues when needed, you can get suggestions for who to contact based on your previous interaction. It’s now easier than ever to get expert assistance on a particular part of your project and to discuss changes in a co-authored document (more on that below). Sway — Spreading important information across a business can be time consuming. Or it was before Sway, which allows you to create presentations, newsletters, and other informative documents from your phone or other devices. You can then instantly spread them to everyone. Training needs were never so easy to meet. Microsoft Teams — Keeping track of all these communication platforms and all your communications in general can be difficult. Microsoft Teams makes it much easier for you. Teams lets you manage calls, messages, emails, shared files, co-authored files, OneNote cloud saved files, and more all from a single location. It’s efficient and time-saving, making it easier to get the most from all your Enterprise E1 communication programs. SharePoint — Sometimes, you need more than a message to get the work done. SharePoint allows you to share files easily with coworkers, but it goes far beyond that as well. Now, you can co-author documents in real time, making changes as you go and using SharePoint and other communication programs to work as if you are side-by-side, even if you are on the opposite side of the world from each other. Web versions of all the traditional Office programs — If you are concerned about making sure you can still use the old familiar products you know from previous Office experience, those are still available. Instead of them taking up space on your desktop, however, you can access them all online. Combined with your cloud storage options, you can take all your work with you everywhere and complete it whenever you need. 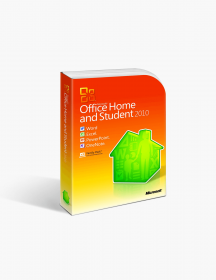 Web versions include Word, Excel, PowerPoint, OneNote, Outlook, and on PCs Access, Publisher. SoftwareKeep has Office 365 Enterprise E1 monthly subscriptions at the lowest price anywhere, guaranteed. We also have around-the-clock expert customer assistance to answer all your questions about Enterprise E1 and other software products. We can also help with downloading and installation issues. CAD$9.70 | In Stock Want it Now? Order and receive your download instantly.